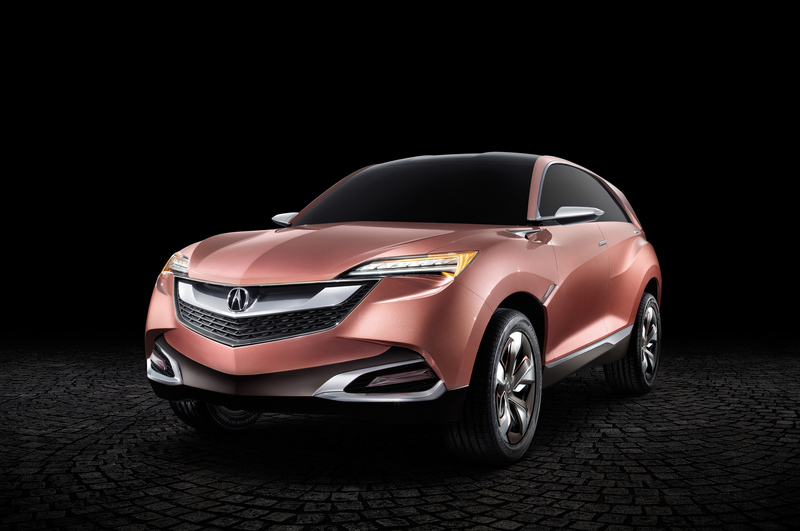 2016 Honda Pilot, Acura RDX confirmed for Chicago Auto Show debut. Coming off a record sales year as one of the best-selling SUVs in its segment, Acura’s RDX is set to move its already lofty bar even higher when the new 2016 model bows at the Chicago Auto Show on February 12. The Chicago Auto Show is the largest auto show in North America and has been held more times than any other auto exposition on the continent. This year marks the 107th edition of the Chicago Auto Show and the tickets are available at our McCormick Place ticket booths on public show days or online. The new RDX sports a long list of styling and performance advances with a desirable new luxury and safety features designed to further increase its leadership in the compact luxury SUV segment. The 2016 RDX blends numerous fresh exterior and interior design elements to further enrich its sport and luxury qualities, all with a cohesiveness that speaks to its new capabilities. The RDX is the smaller model based on the CR-V and introduced in 2006. The second gen RDX was just introduced in 2013, but an updated version is already being rolled out, promising to deliver a long list of styling and performance improvements. The new Pilot SUV represents a dramatic shift in design, while showcasing new standout technologies, versatility, and dynamics currently unavailable in the mainstream SUV segment. Further, the Pilot remains as family-friendly as ever, proving once again that driving the family SUV can be a delight. Honda continues to fortify its light-truck lineup in 2015, this time turning our eye to the fast-growing family SUV segment, said Jeff Conrad, senior vice president and general manager of the Honda Division. “The new Pilot will raise the bar in a segment it helped to create, with more innovation, style, premium features and family utility than ever before.” Is important to say that Acura’s product lineup was recently renowned by Edmunds.com for the third consecutive year as leading all luxury brands in retained value after five years of ownership. More than 90 percent of the Acura vehicles sold in America are produced at the company’s manufacturing facilities in America, using domestic and globally sourced parts.